And in the darkness, came light…. I started this book Friday morning and decided to read for a couple of hours today….but what I found was, instead of only reading until 11:30 a.m. so I could get things done, I read the entire book. I went from 14% (from Friday) to finished in the matter of hours. That is how good this book was. My favorite thing about a book, a good book anyways, is how it “hits the ground running” from the very beginning. I would rather read a book that takes off from the beginning, then read a book with a slow, boring, climb to the climax of the story. I find it refreshing to have a book that starts strong, and finishes strong. A brief synopsis (I don’t usually do that….) Alina and Mal are orphans. They were brought to the same orphanage as children. They enlisted and served in the same military regiment. They were best friends. Alina fell in love with Mal over the years, but kept it to herself. Alina was average looking, frail even. When they were younger, people known as Grisha (they have some kind of magical power…fire, fabrication, fighting etc) came to test whether or not either one of them were Grisha. It was found they were not…however! Alina was, and she was able to hide it, for the fear of losing Mal. Nonetheless, in their service, they were tasked with crossing into the “Fold” in hopes to break free into the other side of this dark, nightmare of territory. They were attacked by nightmarish creatures that only live in the darkness of the Fold. Mal was significantly injured in the attack. Upon further attack, Alina felt this power flush through her, and a great light lit up the Fold. The creatures receded. She fainted. When she came too, she was taken to the head of the Grisha’s, The Darkling. There, he was able to call forward this power, and again she lit up the area the Darkling was camped out in. She was immediately whisked off to the Little Palace, where the Grisha were trained in harnessing their powers, Grisha theory, fighting and the like…because suddenly after all these years, the power exploded through her, and she would become the most wanted, hunted and sought after person in all time. That is the only bit of information I will give regarding the story line. This book was such an adventure. Alina is a refreshingly strong female character. Sure, she is confused and lonely and lost, but she comes into her own throughout the story. I loved Mal, but I loved the Darkling, even though I shouldn’t. Mal and the Darkling are complete polar opposite. Mal is good. Darkling is evil. It is hard not to love either. 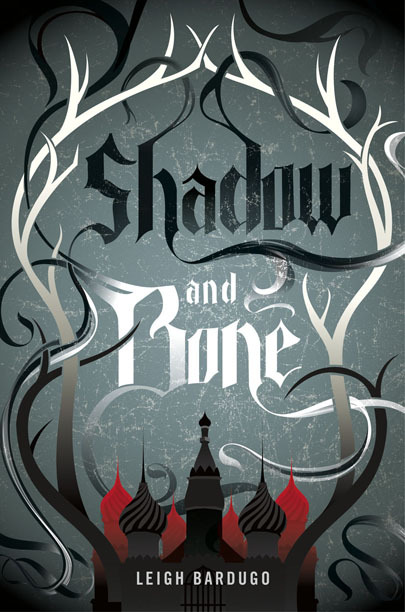 It was hard not to feel the pains of Mal, of Alina, and feel sorry for the Darkling. True to most YA books, there is a love story in there…two of them actually, but they are not sudden. They are slow, well worked out, story lines. The Darkling was slowly winning Alina over through trickery and giving Alina what she wanted most in life, to belong. Mal, it took near death (multiple times) and Alina no longer being in his life to realize how much he loves her. Alina’s love never wavered from Mal, but she did give her heart to the Darkling as well. Don’t be fooled, however, it is not the typical love story triangle. As Alina comes into her own, she learns what she wants, completely, and commits wholeheartedly.